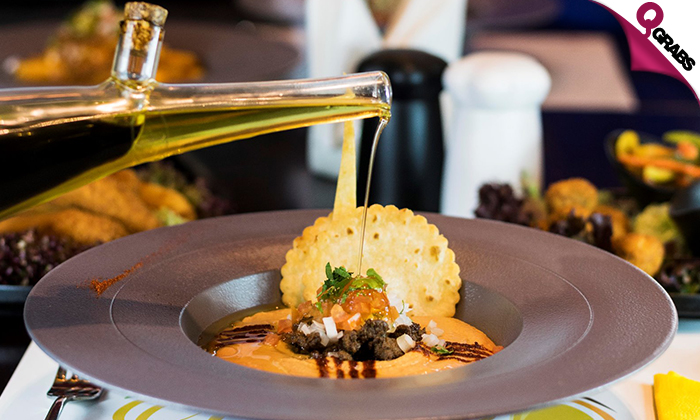 International Cuisine at Qanat Quartier - The Pearl! Crepe Bechamel is an international concept and casual cuisine restaurant that provides elegant dining in a soothing ambiance. 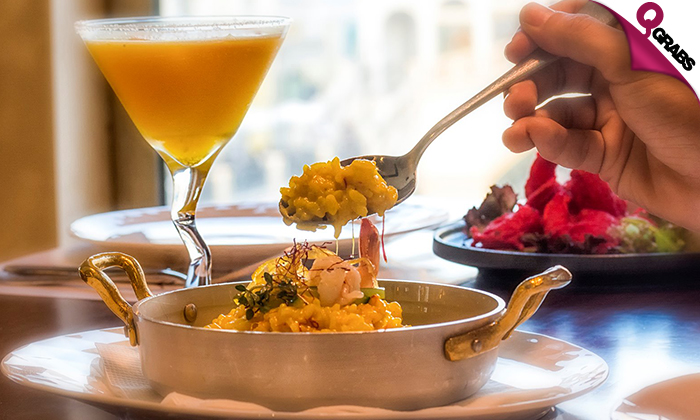 Enjoy delicious dishes like burrata salad, filet de boeuf, fusilli pink sauce pasta, saffron risotto and many more! Dining with a view at 51% off! Located at one of the most beautiful areas in Qatar, the Qanat Quartier at The Pearl. Whether you want to have a healthy and delicious meal, meet friends for lunch, enjoy brunch/dinner with family, or just have a casual midday tea & coffee, Crepe Bechamel will make your moments memorable overlooking the pleasant Qanat Quartier River.